This morning I found myself watching the first two Force Awakens trailers again with my youngest son. I wanted to watch them again while they were still the primary sources of footage for the movie and it occurred to me that the period of time from the release of that first trailer last November to the final moments before tomorrow’s (presumably final) trailer drops is a significant era in Star Wars history. It’s probably a bit melodramatic to look at it this way, but I do believe we’re entering the final push toward The Force Awakens and I enjoyed taking a few moments to look back at the past year. As I watched those two trailers a few more times, I started thinking about all of the other events and reveals that have taken place since: Comic-Con, May 4th, D23, and even Force Friday all took place during this period of time. Together, they’ve provided small bursts of images and information to keep us engaged and excited about The Force Awakens, but it feels as if tomorrow signals a considerably more significant lifting of the veil of secrecy around TFA. Then again, the poster itself is very much in line with standard operating procedures so far; it’s conservative in how much new information it reveals (although upon close inspection there is one as-yet-seen character and what seems to a huge reveal in the upper right corner) and it makes use of concepts and characters we’ve become familiar with already. If the trailer follows a similar path, I won’t be surprised and I won’t be disappointed. But I can’t help but feel that the film’s story will become much more clear after viewing tomorrow’s trailer in a way that Lucasfilm was never ready to provide until now. And if the trailer does provide a more detailed look at The Force Awakens’ story, for me it will mark the beginning of a new era in the lead up to the film – one that I expected to begin with Force Friday. I’m ready for that, but running through those first two trailers a few more times this morning, I couldn’t help but feel a tiny bit of sadness about this past year’s era of anticipation coming to an end. I want the answer to the questions I’ve been asking myself for the past 11 months (and really much longer). I desperately want to see more footage from TFA and I’ve even found myself frustrated with how long Lucasfilm has held out. But, asking those questions and waiting with the most excited anticipation for new footage has been the most fun I’ve had with Star Wars since 2005 or earlier. I have high hopes that the satisfaction and joy I’ll experience with the release of The Force Awakens itself will far exceed the fun I’ve had waiting for the movie, but I think I’ll always remember the wait for this one as a uniquely special time in Star Wars fandom. 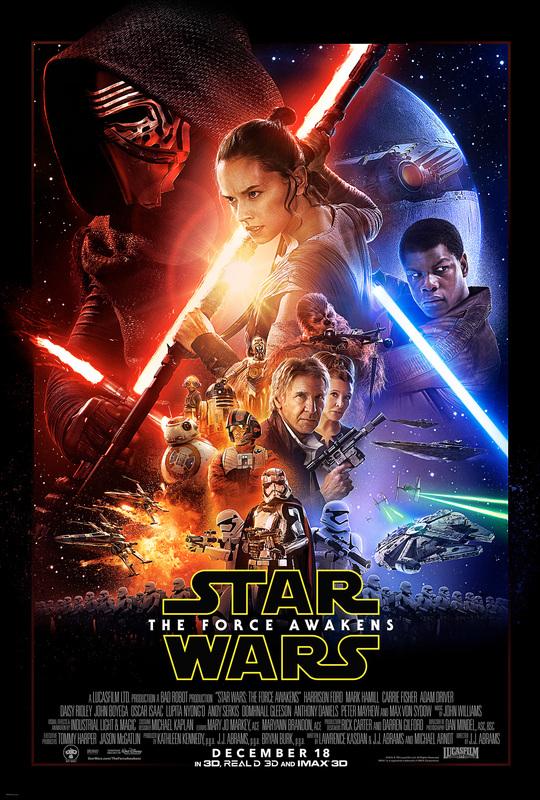 Categories: The Force Awakens | Tags: Episode 7, Poster, Star Wars, The Force Awakens, Trailers | Permalink.